Be the first to hear about their new releases and deals. Download the Booksprout app and search for S. T. Holmes today! S. T. Holmes was born in New Orleans, Louisiana and began creative writing in high school. She has a master’s in Business Management from St. Edward’s University of Austin, Texas, a bachelor’s degree in Accounting and Biology from universities in North Carolina. She is currently working as a chief financial officer in Texas but finds time to indulge in her passion for writing. She says that writing provides a creative outlet and stress relief for her. 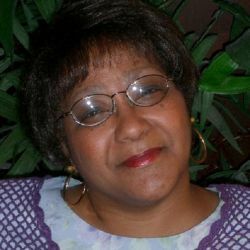 Under the name of Suzon Tropez, she has published: Dynamite Resume Your Calling Card to Success – August 17, 2011 - Dorrance Publisher and High Waters – October 24, 2005 – Publish America.